AND MYSTIC IN THE DUST OF THE PLAYA DURING THE DAY, SHE WAS TRULY ATTRACTING US LIKE A MAGNET. THE SURFACES OF THE PIECE WITH PERSONAL MESSAGES HAS CONTINUED THROUGH ALL OF THE ITERATIONS OF THE TEMPLE. THE CITY IS ALIVE AT ALL TIMES AND YOU MARVEL AT THE ASTOUNDING ART CARS THAT SERENADE YOU WITH MUSIC. YOU MAY WITNESS A FLYING CARPET, THE DISCO HAT WEARING SKULL, OR HUNDREDS OF OTHER CREATIVE ENDEAVORS. THE ŚIṢYA IS A BURNING MAN 2016 ART PIECE ABOUT TRANSFORMATION AND LOSS DESIGNED AND BUILT BY KRISTA SANDERS AND ROB BELL. THE ART AT BURNING MAN 2016 CONTAINS A LOTS OF ANIMALS: A BOAR, A WHALE, ORCAS, A GIANT INSECT, CROWS, GORILLAS, AN OCTOPUS AND A BEAR. JUST ONE WORD TO DESCRIBE THIS PICTURE : LOVE ! WARRIOR POSE AT THE DEEP PLAYA. MOST OF THE BURNING MAN OUTFITS ARE SELFMADE. BURNING MAN IS A PLACE THAT MAKES SENSE, A PLACE THAT REMINDS YOU TO FOLLOW YOUR HEART AND DREAMS. WE PADDLE ALMOST EVERY DAY BETWEEN 5 TO 10 HOURS. FISHING, PHOTOGRAPHY AND FILMING ARE MOSTLY OUR OCCUPATIONS WHILE ON THE WATER. WE EXPERIENCE MANY WINDY AND RAINY DAYS, BUT ARE REWARDED SOMETIMES WITH MAGICAL LIGHT AS THE SUN IS SHINING THROUGH THE CLOUDS. ON THE FIRST DAY OF OUR JOURNEY, NORWAY'S MIDNIGHT SUN IS DISHING UP A WONDERFUL SHOW FOR US. I HAVE A DEEP RESPECT FOR NATURE. AFTER THIS JOURNEY UP NORTH MY RESPECT HAS GROWN EVEN MORE. TENT WITH A VIEW. WE HAVE MANY REMARKABLE CAMPING SPOTS OVER THE TWO WEEK JOURNEY. IT IS A REWARD FOR THE DAYS PADDLING. THE DRONE OFFERS US A NEW AND THRILLING PERSPECTIVE - THE HIGHS OF NORTHERN NORWAY. BEING SO EXPOSED TO THE OCEAN HAS MOULDED THE LANDSCAPE, CREATING SOME OF THE MOST DRAMATIC AND BREATHTAKING VIEWS WE HAVE EVER WITNESSED. NOTHING BUT SEA AND OUR THOUGHTS. THE ISLAND OF SØRFUGLØYA BECOMES A SORT OF FRIEND ACCOMPANYING US ON THE WAY FOR SEVERAL DAYS. WE HAVE MANY NICK NAMES FOR THIS ISLAND BUT MOSTLY IT REMIND US OF KING KONG'S ISLAND. THE SOUND OF WAVES GENTLY BREAKING ON THE SHORE CALLS TO US. WHEN THE WIND CONDITIONS PREVENT US FROM PADDLING, WE DISCOVER THE REGION BY FOOT AND ARE ALWAYS REWARDED WITH AWESOME SEASCAPES. IT'S WORTH TO PUT EFFORT IN FINDING A GOOD CAMPING SPOT - WE ARE ALWAYS REWARDED WITH SPECTACULAR SCENERIES. THE MAIN PURPOSE OF FISHING IS NOT ONLY TO CATCH FISH FOR DINNER. IT IS ALSO A SOURCE OF CONTEMPLATION AND MEDITATION. WE LOVE TAKING SOME TIME AT THE END OF EACH DAY TO SIT TOGETHER AND ADMIRE THE SURROUNDINGS. IT DOES NOT MATTER IF SUNNY OR STORMY, NORWAY ALWAYS PUT ON A SHOW. WHEN SEA AND SKY MELT TOGETHER. AWAY FROM THE RUSH OF HUMAN CIVILIZATION, WE HAVE ALL THE TIME IN THE WORLD TO OBSERVE THE MAGICAL SPECTACLE OF NATURE. THE SCENERIES ON LAND HAVE NOTHING TO ENVY THE ONES AT SEA. WE ARE OVERWHELMED BY THE BEAUTY AND RUGGEDNESS OF THIS REGION. A JOURNEY UP NORTH IS GOOD FOR THE SOUL. ONLY THE SPIRITS OF THE AIR KNOW WHAT AWAITS US BEHIND THE MOUNTAINS. BUT STILL WE TRAVEL ONWARDS. THIS CAT AND MOUSE GAME BETWEEN THE CLOUDS AND THE SUN LAST FOR HOURS! AS USUAL THE CLOUDS TAKE OVER. THE MIDNIGHT SUN GIVES US A FINAL FAREWELL. ONE OF THE MAIN REASON WE LEAVE HOME TO SEEK ADVENTURE ELSEWHERE IS THE SEARCH FOR THE UNKNOWN. ABORIGINAL SPIRITUALITY IS DEEPLY LINKED TO THEIR LAND. ALL OBJECTS ARE LIVING AND SHARE THE SAME SOUL AND SPIRIT AS ABORIGINALS. THE DEVILS MARBLES ARE HUGE GRANITE BOULDERS SCATTERED ACROSS A WIDE, SHALLOW VALLEY N THE NORTHERN TERRITORY. HMONG WOMAN. SAPA, VIETNAM | THE HMONG ARE AN ETHNIC GROUP FROM THE MOUNTAINOUS REGIONS OF CHINA, VIETNAM, LAOS, AND THAILAND. SWITZERLAND | WITH SNOWSHOES YOU ARE FREE TO EXPLORE. AN IDEAL ALTERNATIVE FOR ALL THOSE SEEKING FOR PEACE AND QUIETNESS OFF THE BEATEN TRACK. SMOOTH SHAPES COVERED BY A GLITTERING LAYER. THERE IS SOMETHING MAGICAL ABOUT FRESH SNOW. THE SHADOW MAN IS A CONTRASTY BLACK AND WHITE PICTURE SERIES OF MOUNTAIN LANDSCAPES USING THE PLAY OF LIGHT, SHADE AND BACK-LIGHTING TO CREATE DRAMATIC MOODS. MOUNTAIN LANDSCAPE USING THE PLAY OF LIGHT, SHADE AND BACK-LIGHTING TO CREATE A DRAMATIC MOOD. EARLY MORNING FOG OVER LAKE ZURICH. CHILDREN PLAYING IN SAND DUNES, SALAMANSA BAY | THE CAP VERDEAN HAVE A SIMPLE LIFESTYLE AND APPRECIATE LITTLE THINGS. DESPITE THE POVERTY, THE HAPPINESS OF THE CHILDREN SHINES THROUGH. FISHERMEN, PONTA DO SOL, CAPE VERDE | FISHING ON THE CAPE VERDE ARCHIPELAGO IS, FOR THE MOST PART, STILL ARTISANAL. MACKERELS FISHERMEN PULLING THE NET IN OFF THE COAST OF PONTA DO SOL. FISHERMAN WITH TUNA, CAPE VERDE | AFTER THE ARRIVAL OF THE FISHING BOATS THE FISH ARE PLACED ON THE BOYS HEAD AND TAKEN OFF TO THE MARKET. SAO FILIPE, FOGO. PROUD FISHERMAN STANDING IN FRONT OF HIS BOAT ON THE BEACH OF SAO FILIPE ON THE ISLAND OF FOGO. FISHERMAN IN SANTO ANTÃO, CAPE VERDE | SANTO ANTÃO IS FOR MANY THE MOST STUNNING ISLAND OF THE CAPE VERDE ARCHIPELAGO. NAUKLUFT NATIONAL PARK, NAMIBIA | NAMIB-NAUKLUFT PARK IS ONE OF THE BIGGEST NATIONAL PARKS IN AFRICA, SPANNING MUCH OF THE CENTRAL NAMIB DESERT AND INCLUDES THE NAUKLUFT MOUNTAINS. FLYING OVER THE DUNES DURING THE GOLDEN HOUR IS TRULY A MAGICAL EXPERIENCE. CHEETAHS ARE FAMOUS FOR THEIR SPEED AND AGILITY BUT ARE ALSO ONE OF AFRICA'S MOST ENDANGERED BIG CATS. SPITZKOPPE FEELS LIKE ULURU'S LITTLE SISTER. IT IS LOCATED NORTH-EST OF SWAKOPMUND IN THE NAMIB DESERT. THIS IS OUR FAVORITE PLACE IN NAMIBIA. TO FLY ABOVE THE DUNE OF SOSSUSVLEI GIVES YOU A STRONG FEELING OF FREEDOM. FLOATING OVER THE DUNES IN A HOT AIR BALLOON IS A BREATHTAKING WAY TO APPRECIATE THE STUNNING LANDSCAPE OF THE NAMIB NAUKLUFT NATIONAL PARK. DEADVLEI IS A WHITE CLAY PAN CHARACTERIZED BY DARK, DEAD CAMEL THORN TREES NEAR THE MORE FAMOUS SALT PAN OF SOSSUSVLEI, INSIDE THE NAMIB-NAUKLUFT PARK IN NAMIBIA. MAGICAL SUNSET DESERT LIGHT OF THE NAUKLUFT NATIONAL PARK. GREENLAND | BLUE ICEBERG IN STORM. GREENLAND SEA KAYAK EXPEDITION | A STORM DISPERSED THE ICE BLOCKADE AND WE BECAME THE FIRST PEOPLE TO REACH NUQATSIAQ THAT SUMMER. NORTH GREENLAND | GREENLAND IS THE PLACE TO SEE ICE IN ALL ITS SPECTACULAR FORMS. IN THE SUMMER, THE ICEBERGS BECOME VAST FLOATING SCULPTURES SETTING OFF ON A LONG AND UNCERTAIN VOYAGE WITH ONLY THE WIND AND THE CURRENT TO STEER THEM. OUR SEA KAYAKS POINT TOWARD THE MASSIVE INLAND ICE. UNDER THE MIDNIGHT SUN THE SEA IS SO CALM THAT THE INCREDIBLE VISTA IS REFLECTED LIKE A MIRROR. MOUNTAIN SIDES LIGHTEN INTO POWERFUL REDS, SHADOWS LENGTHEN, AND THE ICEBERGS SEEM TO BE UNDER A GIANT SPOTLIGHT. 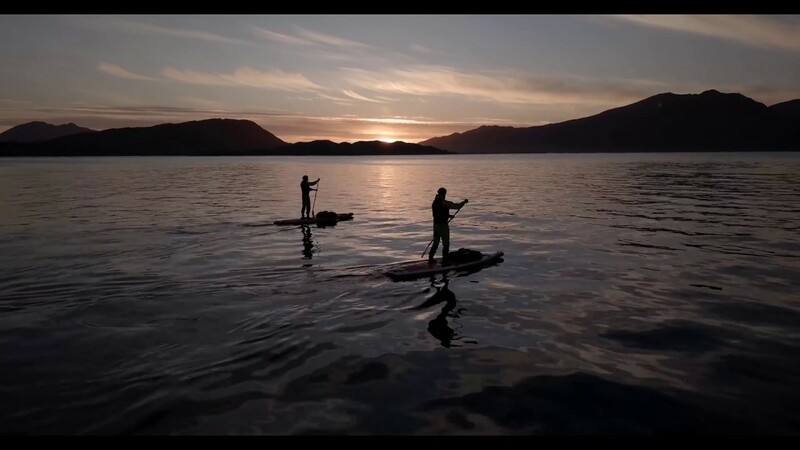 PADDLING THROUGH A SEA OF ICE OFF GREENLAND’S NORTHWEST COAST, IN THE ENDLESS SUMMER DAYS OF THE MIDNIGHT SUN. NORTH GREENLAND | THIS SHOT SHOWS THE IMMENSITY OF THE LANDSCAPE. OUR SAGA MAPS, DATING FROM 1970, SHOW THE WHOLE SEA IN FRONT OF US COVERED BY GLACIERS. WE WERE SHOCKED TO SEE HOW FAR THE GLACIERS HAVE RETREATED IN LESS THAN 40 YEARS. GREENLAND IS THE PLACE TO SEE ICE IN ALL ITS SPECTACULAR FORMS. IN THE SUMMER, THE ICEBERGS BECOME VAST FLOATING SCULPTURES SETTING OFF ON A LONG AND UNCERTAIN VOYAGE WITH ONLY THE WIND AND THE CURRENT TO STEER THEM. NORTH GREENLAND | BEING SO CLOSE TO ICEBERGS WAS A POWERFUL FEELING, TINGED WITH DANGER. NORTH GREENLAND SEA KAYAK EXPEDITION | IN THE MORNING, THE SKY IS CLEAR AND THE SUN HEATS UP THE FROZEN SURFACE ENABLING US TO ESCAPE THROUGH THE SEA OF ICE IN WHICH WE HAD BEEN TRAPPED. ICE FOG IS CREATED WHEN WATER VAPOR MEETS ARCTIC AIR THAT’S SO COLD IT IS UNABLE TO ABSORB ANY MORE WATER: THE RESULT IS THE FORMATION OF TINY ICE CRYSTALS THAT CAN COVER THE ARCTIC SEA. SPOTLIGHT ON ICEBERG, WEST GREENLAND. LONE ICEBERG STANDING UNDER THE MIDNIGHT SUN. THE DESIGN OF A PIROGUE ALLOWS ONE TO MOVE THROUGH THE VERY SHALLOW WATER AND IT CAN BE EASILY TURNED OVER TO DRAIN THE WATER OUT. THIS IMAGE WAS TAKEN IN A LAGOON OFF THE MASOALA PENINSULA IN MADAGASCAR ON OUR SEA KAYAK EXPEDITION AROUND THE PENINSULA. KIDS HAVING FUN AND POSING IN FRONT OF THE CAMERA. AVENUE OF THE BAOBABS ON MADAGASCAR'S WEST COAST. BALLOONING OVER BAGAN | BAGAN IS A HISTORIC ROYAL CITY IN MYANMAR. WITH MORE THAN TWO THOUSAND SACRAL BUILDINGS OF BRICK IT IS ONE OF THE LARGEST ARCHAEOLOGICAL SITES IN SOUTHEAST ASIA. TRANSPORTATION, MYANMAR | THE INFRASTRUCTURE IS RELATIVELY UNDERDEVELOPED IN MYANMAR. THEREFORE TRANSPORTATION IS MAINLY MADE BY BICYCLES, BULLOCK OR HORSE CARTS. THE WHITE DESERT IS LOCATED IN THE FARAFRA DEPRESSION. THE LANDSCAPE IS CHARACTERIZED BY MASSIVE LIMESTONE ROCK FORMATIONS. IT HAS BEEN CLASSIFIED BY EGYPT AS A NATURAL PROTECTORATE IN 2002. FRANCE’S NORTHERN COAST IS A WORLD UNTO ITSELF. ITS HUNDREDS OF KILOMETERS OF COASTLINE RANGES FROM RUGGED CLIFFS TO QUIET SANDY BEACHES. THE STROMBOLI IS ONE OF THE MOST ACTIVE VOLCANO IN THE WORLD WITH INTERVALS RANGING FROM MINUTES TO HOURS. IT IS ONE OF THE EIGHT AEOLIAN ISLAND NORTH OF SICILY.